What made you decide to combine a look at the Broadway production of “Fela!” with a look at his life in this found footage? It was kind of organic. I was originally approached by Steve Hendel, the producer of the Broadway play. And, I had seen the play, which I loved. And the original idea was to follow the troupe when they went to Africa to perform it there, I thought, “That’s an interesting film.” But you know a funny thing happened on the way to Africa, which is Fela himself started to introduce himself into the story. And so organically it came out of that. And as he did this, I thought, “Wow this is interesting, he’s a really interesting character. The more I know about him, the more I want to learn about him.” So I decided to make a film called “Finding Fela,” which both tracked my own interest in him as I began to learn about him, but also to use the process of making the play as part of that idea. I thought it might be more interesting to tell a historical biographical story through this present-day search to make a play that worked on Broadway. When did you first see the play? Ah geez… it was still on Broadway, so, it must have been about three years ago. I just saw it and I loved it. I didn’t think right away that I was gonna make a documentary. I just went as a fan, it was coincidence really. Kismet, fate, I just loved it. And I just thought, how much fun is that. And then I started to buy his records, I’d listened to him before, but I wouldn’t say I was one of those people that knew everything about him. So I started buying all his records and then I got a phone call from Steve Hendel. That’s amazing how that worked out. I kept hearing throughout the documentary that he had these outrageous 22 to 30 minute songs. There’s not really a full song in the film, but you must have your favorites. Yeah, I remember him comparing these novel-like songs to a Beethoven piece. 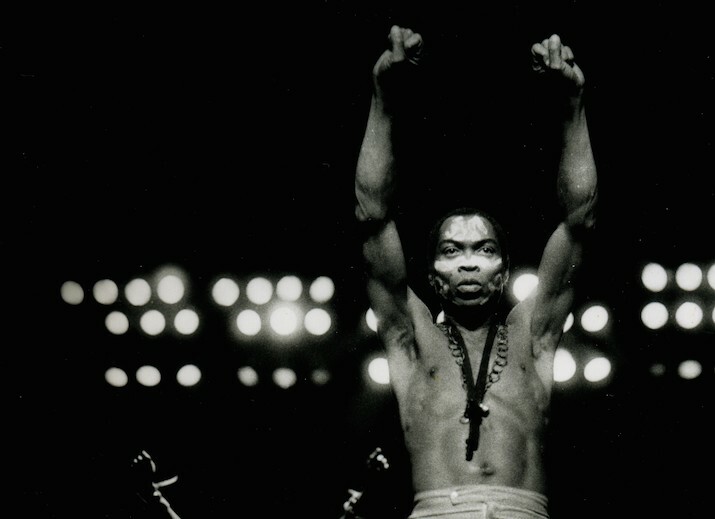 What was it like talking to Fela’s children? They were all so forthcoming, and Seun in particular was really funny. They spoke about their father so intimately, what was that process like? It was so good. I think as kids, it can’t have been easy to be Fela’s kid. Because he was so famous, on the one hand it was like a party non-stop, and at the same time, he didn’t give them all that much attention. He was a huge public figure, he was trying to manage 27 wives. So, it couldn’t have been easy. They had such affection and reverence for him that they were to talk about him quite honestly. They learned to grow up pretty early, so they were both inside and outside, from the very beginning. 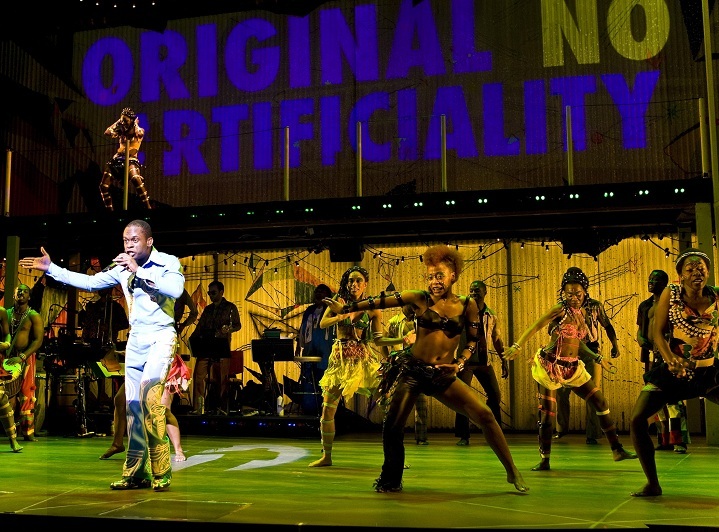 What are your hopes for “Finding Fela”‘s reception? My hopes are as big as possible. I think he is a huge, major figure, and he ought to be treated that way. And I think when people actually go see it, and hear the music, it will really turn them around. And I know Steve Hendel, who produced the Broadway show, has said this too. He wants to make Fela as big as he can be. I wish the play was still on Broadway, because after this film I think so many people would go see it. Do you think he’d ever bring it back? I don’t know I think that train has left the station. But I think that it’s depending, I mean he still has a relationship with the band that was formed to do the Broadway play, and they still travel, they played at Sundance in fact. They were fantastic. Including the guy I saw, who was the guy in the play in the film that you saw, and they do a wonderful, really great show. And the show will, I think, keep touring in the future. It started, it headed to Australian and it’s already been in London, and it’s touring around the country. There may be a revival, we’ll see. But it’s done very well. They were up against “Memphis” for the Tonys, and it came up just short. I think that if they got the Tony, it would have stayed on Broadway for a time.